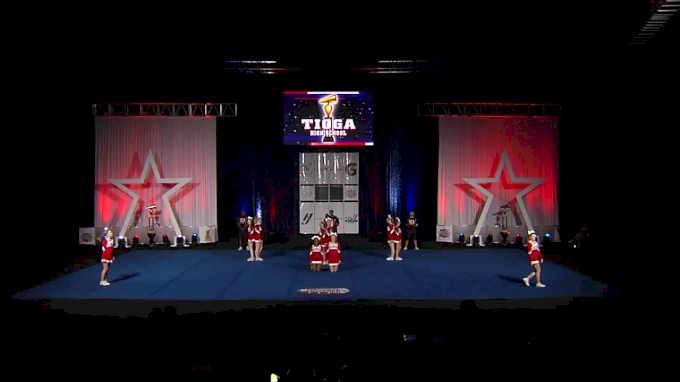 In the Novice Small High School Division, Tioga High School took the top spot. The Louisiana team made a big statement at this year's national championship with their beautiful jump flexibility and clean pyramid execution. After more than 10 years of competing in this prestigious competition, the Indians have earned their second NCA national championship title! Brennan High School put their heart out on the mat in the Novice Medium High School Division and walked out of Day 2 with a National Championship! Year after year, Brennan has kept up with their tradition of using fun props in their routines. This year, the squad had some of the most innovative choreography in the Novice Divisions. Last, but certainly not least in the Novice Large Division, Deer Park High School hit a home run with an impeccable Day 2 routine. This team went all the way in their performance and didn’t look back for one second. You could say these girls really turned their maroon pride into gold! Make sure to tune in to Varsity TV all day long to watch routines LIVE and re-live top moments from the 2018 NCA High School National Championship. These teams have put in hours of hard work and dedication but as their results have shown...the work was worth it!